Though the content marketing tactics involved with writing content to improve the search rankings are evolving day-by-day, few fundamentals have remained unchanged although the manner in which they are implemented may have changed. The best practices of writing content are an integral part of the overall content marketing strategy and this will help you create relevant and quality content consistently. In order to achieve success in your content marketing strategy, you have to consistently follow few content marketing best practices on a consistent basis. If you are developing content as part of your content marketing efforts, only writing isn’t what you require. There are some other things the content writers should be aware of, along with writing content. The best practices will let you know these things and help you in creating an impact on your overall content marketing strategy with your content. 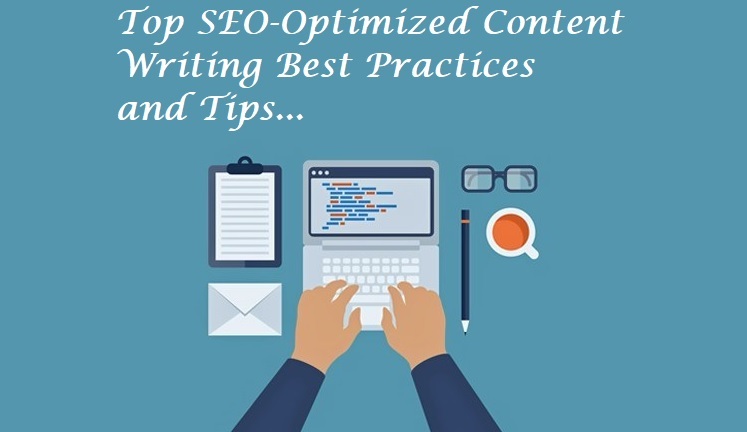 So, let’s dig deeper into the major content writing best practices. Writing a paper or an essay is entirely different from writing for the web. In an essay, you explain what you are going to discuss in the beginning and then give an overview of the literature. The next thing is to discuss and draw the conclusion at the end. The conclusion is a major part as you make the most important point in it. You have to do exactly the opposite on the web pages. On them, you come up with the most important at the beginning itself. A simple statement explaining what you actually do is the most important information for your web visitors. They might be interested in knowing further details once they know what you do. Then, they might be interested in knowing some background information. This is the same with newspaper information as well. In a newspaper, the most important information appears in the beginning before the background information and the details. You can actually understand the big picture even if you go through the first paragraph of the newspaper. People abstain themselves from reading long forms of text without feeling and emotion. You should write in a way such that you are having a conversation with your audience. Rather than talking at them, talk with them. For maintaining the conversational style, you must use the second person pronouns such as you, yours, your, yourselves, yourself. So, you must write in second person point of view for maintaining conversational style. Readers appreciate your content if it is complete and of high quality. Research well before you present your content as you have to maintain its accuracy and quality. Also, search engines love long content (usually beyond 2000 words) and highly accurate and quality content. Link to relevant sources wherever necessary and provide internal linking if possible. Don’t overdo the linking part and link only when it’s necessary. This can be explained as; you will know what path to follow if you know your destination in the first place. The same applies to web pages and individual blog posts. This states that each and every web page and blog post you write must have an objective. Knowing your objective up front will make your writing become more purposeful and fully focused. Also, it becomes to articulate yourself when you are fully aware of the objective. Few content writers, mainly those who have significant experience in copywriting, insist that you spend the amount of time (or even more time) for writing titles, that you spend for writing blog posts and web pages. There is a very less chance of people reading your content if they don’t find your webpage and blog post titles attractive enough to click on them. Also, the title is the one that appears on your search engine result pages (SERPs) and obviously, it is the deciding factor for the people to go through your content. So, the people will simply ignore your content if it doesn’t have a compelling title. Nowadays, one of the highly integral components of content writing best practices is publishing content for mobile devices. Today, a majority of the traffic for many websites is coming from mobile devices (especially smartphones). So, it’s high-time your content is tailored in a way that it gets read easily on a mobile device. Your content must be in the form of small chunks consisting of shorter sentences with bulleted and numbered lists wherever possible. The content of this form can easily be read on a mobile device. Today, many machine learning tools are available for creating content. They can locate the best content on the web including user-generated brand-relevant content, thought leadership pieces, and so on. So, its better content writers gain insight into machine learning and learn how to use these tools. Thus, by using the above mentioned best practices, you can provide the content that both the people and the search engine love. Author Bio: The above article is written by Mr. Savaram Ravindra.